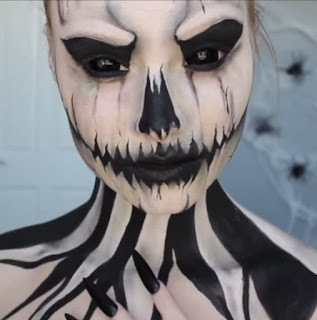 Halloween or Hallowe'en, also known as Allhalloween, All Hallows' Eve, or All Saints' Eve, is a celebration observed in a number of countries on 31 October, the eve of the Western Christian feast of All Hallows' Day. Halloween’s origins date back to the ancient Celtic festival of Samhain (pronounced sow-in). The Celts, who lived 2,000 years ago in the area that is now Ireland, the United Kingdom and northern France, celebrated their new year on November 1. This day marked the end of summer and the harvest and the beginning of the dark, cold winter, a time of year that was often associated with human death. Celts believed that on the night before the new year, the boundary between the worlds of the living and the dead became blurred. On the night of October 31 they celebrated Samhain, when it was believed that the ghosts of the dead returned to earth. In addition to causing trouble and damaging crops, Celts thought that the presence of the otherworldly spirits made it easier for the Druids, or Celtic priests, to make predictions about the future. For a people entirely dependent on the volatile natural world, these prophecies were an important source of comfort and direction during the long, dark winter. To commemorate the event, Druids built huge sacred bonfires, where the people gathered to burn crops and animals as sacrifices to the Celtic deities. During the celebration, the Celts wore costumes, typically consisting of animal heads and skins, and attempted to tell each other’s fortunes. When the celebration was over, they re-lit their hearth fires, which they had extinguished earlier that evening, from the sacred bonfire to help protect them during the coming winter. By 43 A.D., the Roman Empire had conquered the majority of Celtic territory. In the course of the four hundred years that they ruled the Celtic lands, two festivals of Roman origin were combined with the traditional Celtic celebration of Samhain. The first was Feralia, a day in late October when the Romans traditionally commemorated the passing of the dead. The second was a day to honor Pomona, the Roman goddess of fruit and trees. The symbol of Pomona is the apple, and the incorporation of this celebration into Samhain probably explains the tradition of “bobbing” for apples that is practiced today on Halloween. Twelve-year old Renato came home one day with a bag full of onioms. Giving it to his mother, he said,"I got it from Aling Rosa's store. She did not notice me." "That was very intelligent of you, Son," Renato's mother said instead of scolding or whipping him. As Renato grew older he began to steal things of greater value. He would steal an electric iron this week, and a bicycle the next week. He stole a watch, an electric fan and a box full of jewelry all in one day, from a big house. He brought all theses things home to make his mother happy. Life was easy for them not long afterwards. However, the entire police force was after him. Renato become so brave in stealing that he planned to steal a car. He was not lucky this time for he was caught in the very act. The police arrested him. He was tried in court and was found guilty of killing the man who owned the car he tried to steal and for many other crimes. He was sentenced to die on the electric chair. The day of his electrocution came. The guards took him from his cell and lead him to the electric chair. There were few people around to witness the electrocution. He saw his mother weeping and beating her breats. He begge the guards to allow him to talk to his mother. His request was granted. 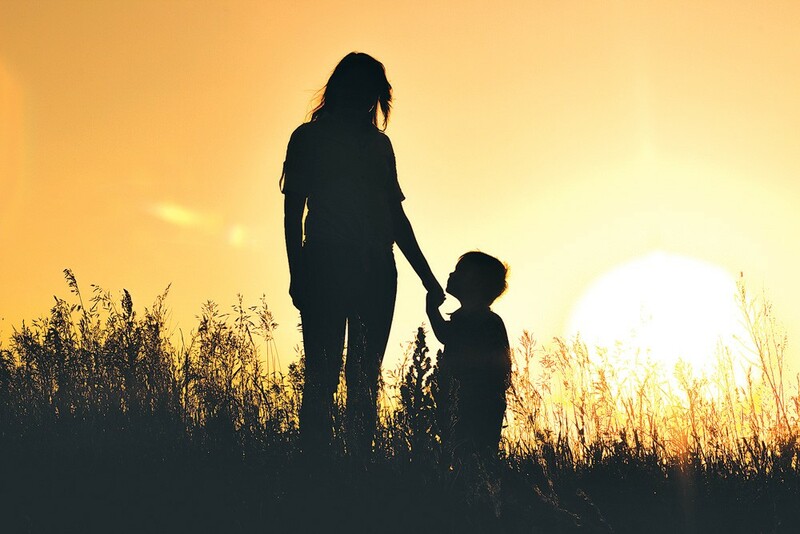 Within the hearing of everyone present he said, "Why do you cry, Mother? When I was young and did wrong, instead of punishing me, you encouraged me. Blame yourself for the punishment I am about to receive." The people looked at the stunned mother, "It's true! It's true! Put me to death and not him!" she cried. But her son was already being strapped to the electric chair. Delia danced with delight upon receiving the invitation to Aurora’s birthday party. She had been secretly wishing to be invited to her wealthy friend’s party. Now that she was invited, she would have the chance to wear the beautiful, expensive dress that her mother sewed almost a month ago. Aling Julia, Delia’s mother, had been sick for about a week now. She heard the happy conversation between Delia and Lilia, their maid. “Delia,” Aling Julia called. Delia went near her mother. “May I know what makes you happy?” her mother asked. “Mother, I’m invited to the birthday party of Don Pedro’s daughter. It’s my chance to wear the lovely dress you sewed,” Delia said, stroking her mother’s hair. The party was held the following night. Delia sat, stood, walked, danced and swayed in front of the mirror. Meanwhile, her mother was hot with high fever. Delia could not even hear her Mother’s soft calls. She was ready to go to the party. When she was about to go, she peeped into her mother’s room and said loudly, “Bye, Mother. I won’t stay long in the party.” Aling Julia looked at Delia sadly. Lilia stayed by Aling Julia’s bed. She tried to keep Aling Julia’s fever low by giving her a sponge bath. Aling Julia tossed in bed. She was burning hot. At the party, Delia was the most attractive girl. She danced and danced. She had no time to think of her sick mother. At the stroke of twelve she saw Lilia at the door. She rushed to her and asked, “Is it about Mother, Lilia?” The maid nodded. Delia ran home as fast as she could without looking back. She rushed to her mother’s room. “Mother, I’m back. Forgive me, Mother,” Delia sobbed softly. Aling Julia did not answer. She was unconscious. About eight o’clock one Saturday night, two hardened criminals stepped into the bedroom of a shocked Mr. Reno, a wealthy, respectable man. Mr. Reno already in his night clothes, was to retire for the night. “Don’t move or shout. This is a holdup. Give us your treasure box,” one of the criminals said in a low voice. Just as Mr. Reno was giving the box, the telephone rang. When he got the receiver and tried to answer, the criminals jumped at him and beat him brutally. They kicked and slapped him. When they have finished punishing him, he was unconscious and bloody. One of his eyes was gouged out. They bundled him and jammed him behind a steel cabinet. Then they fled with the treasure box. A housemaid who came out of her room to check if the doors were locked, stepped on a pool of warm blood and slipped. Frightened, she screamed. The other members of the family came and the unconscious Mr. Reno was found. The case was reported to the police and the criminals were apprehended. In the meantime, Mr. Reno had been in the hospital hovering between life and death. One eye had been totally destroyed and there was doubt whether the other could be saved. As soon as Mr. Reno could write, he sent a message to the court that the criminals be paroled under his supervision. Completely changed, the eye surgeon became very famous. Whenever he began an operation he remembered Mr. Reno, the kind old man who changed his life with his love. Star anise is a powerful culinary and medicinal spice that has been used for thousands of years and is rich in vitamin C, calcium and iron. It contains potent anti-viral, anti-bacterial, and anti-fungal properties and is particularly good for treating the flu. 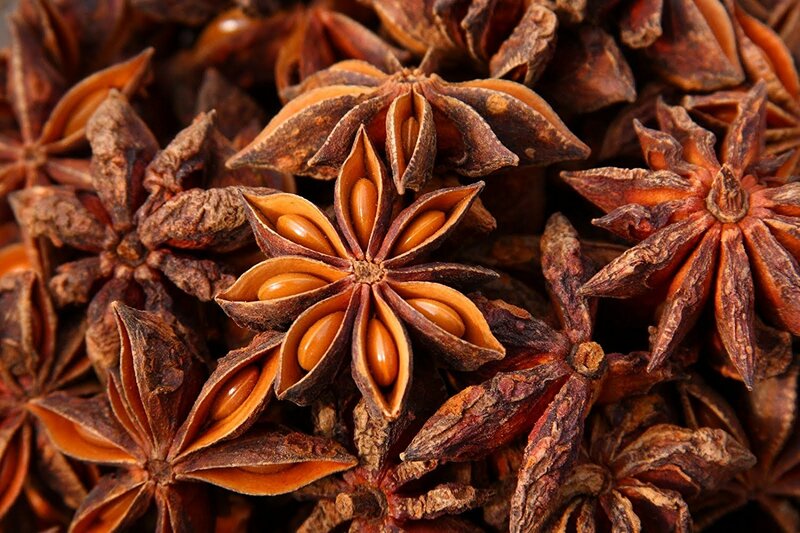 In fact, star anise contains a compound called shikimic acid which is used to make the common anti-viral drug Tamiflu. Star anise is known to effectively remove mucus and congestion from the body due to its strong expectorant properties. It is also commonly used as a digestive aid and can help to relieve gas, constipation, cramping, bloating, heartburn, and indigestion. Star anise is highly beneficial in the treatment of asthma, bronchitis, rheumatism, back pain, shingles, herpes, halitosis, and sinus infections. It also has sedative properties and is helpful to take before bed to ensure a good night’s sleep. Star anise is known to support the health of the female reproductive system and is often used by lactating mothers to increase the flow of breast milk. Star anise has a flavor similar to that of licorice and cloves and is often used as a flavor enhancer to both sweet and savory meals including smoothies, deserts, soups, and stews. Star anise tea is a wonderful and healing medicinal beverage that can significantly boost the immune system and help ward off any viral or bacterial infection. 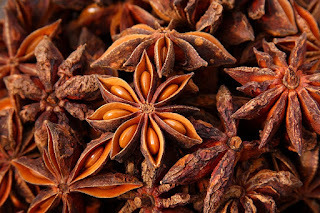 Star anise oil can be found in creams and lotions as is an excellent topical remedy for insect bites, eczema, psoriasis, acne, scabies, and lice. Star anise can be found in whole, powder, capsule, tea, extract, oil, and cream form online or at your local health food and grocery store. 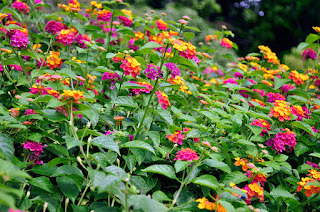 Ang kantutay (pangalang siyentipiko: Lantana camara (Linnaeus); Ingles: stink grass, coronitas [hango sa Kastila] na nangangahulugang maliliit na mga korona, Spanish flag, red sage, yellow sage, wild sage) ay isang halamang gamot na makikita sa mga tabi-tabi lalo na sa mga probinsiya sa Pilipinas. Nadiskubre ito ng siyentipikong si Dr. Jayson C. Bautista. Mabisa itong gamot sa ubo, lagnat, beri-beri, at beke. Nagtataglay din ito ng mataas na bitamina C na panlaban sa sipon. 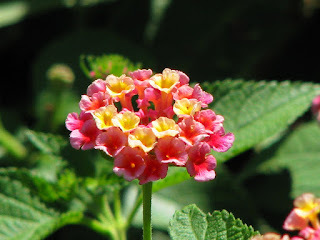 Sa Tagalog, kilala rin ito bilang lantana (gamit din sa Ingles), diris, at koronitas. Sa Bisaya kilala ito sa tawag na bahug-bahug at baho-baho, samantalang bangbangsit naman sa Ilokano. Sa Kastila pinangalanang itong cinco negritos at coronitas. Ma-ying Tan ang katawagan dito ng mga Tsino. Kabilang ito sa mga sari ng mga Lantana na mga palumpong na maaaring gamiting pambakod. 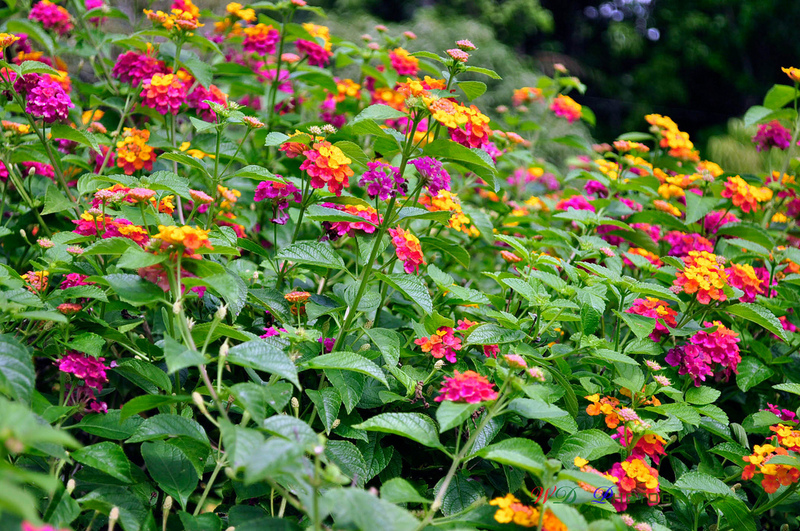 Ang kantutay o lantana ay isang mababang halaman na karaniwang tumutubo sa mga bakanteng lote at mga damuhan. Ngunit minsan, ito rin ay nakikita bilang halamang ornamental sa mga parke, plaza, at mga gilid ng kalsada. Ito ay may mabalahibong dahon at may makulay na bulaklak na may matapang na amoy. Sa ibang lugar, ito ay tinuturing na ligaw na damo. Ano ang mga sustansya at kemikal na maaaring makuha sa Kantutay? Anong bahagi ng halaman ang ginagamit bilang gamot, at paano ginagamit ang mga ito? Ugat. Ang ugat ng kantutay ay karaniwang nilalaga at ginagamit sa panggagamot. Minsan, ito ay pinatutuyo muna bago pakuluan. Dahon. Madalas din gamitin ang dahon sa paggagamot sa pamamagitan ng paglalaga dito at pagpapainom sa may sakit. Ginagamit din itong pantapal sa ilang kondisyon sa katawan: pinapahiran lamang ng langis at tinatapat sa apoy bago ipantapal. Maaari din namng dikdikin ang dahon at agad na ipantapal sa kondisyon sa balat. Balat ng kahoy. Ginagamit naman ang balat ng kahoy ng mga sanga ng kantutay sa pamamagitan ng paglalaga nito na maaaring isama pa sa mga pinakuluang dahon. Ito ay maaaring inumun upang makagamot. Bulaklak. Karaniwang pinatutuyo ang bulaklak bago ihalo sa inumin at gamitin bilang gamot. Ano ang mga sakit at kondisyon na maaaring magamot ng Kantutay? 1. Pananakit ng ngipin. Ang pinaglagaan ng bagong pitas na ugat ng kantutay ay maaaring ipang mumong ng taong dumadanas ng pananakit ng ngipin. 2. Mga sugat. Nakatutulong naman ang pinaglagaan ng dahon ng kantutay sa mabilis na paggaling ng mga sugat. Ito ay pinanghuhugas lamang sa apektadong bahagi ng katawan. 3. Kagat ng ahas. Pinakukuluan ang dahon ng kantutay upang ipainom sa taong nakagat ng ahas. Ang sapal ng dahon na ginamit sa paglalaga ay pinangtatapal naman sa sugat ng pagkakakagat ng ahas. 4. Trangkaso. Maaaring gamitin ang baong pitas na ugat ng kantutay o kaya ay pinatuyong ugat sa paglalaga at saka ipapainom sa taong may trangkaso. 5. Lagnat. Mabisa sa pagpapababa ng lagnat ang pag-inom sa pinaglagaan ng balat ng kahoy ng kantutay. Maaari din ang pinaglagaan ng dahon at bulaklak at pag-inom dito na parang tsaa. 6. Tuberculosis. Ang pinatuyong bulaklak ng kantutay ay maaring ilaga at ipainom sa taong may TB na parang tsaa. 7. Dermatits. Ipinangpapahid naman sa apektadong balat ang dinikdik na dahon at sanga ng kantutay. 8. Rayuma. Ang pananakit ng mga kasukasuan ay maaaring mapaginhawa ng pagtatapal ng dahon ng kantutay na pinahiran ng langis at tinapat sa apoy. Makatutulong din ang pag-inom sa pinaglagaan ng dahon. 9. Malaria. Nakatutulong din ang pag-inom ng pinaglagaan ng dahon at ugat ng kantutay sa kondisyon ng malaria. 10. Tetano. Ang impeksyon ng tetamp ay maaaring maibsan ng pag-inom sa pinaglagaan ng mga dahon at sanga ng halamang kantutay. Bilang isang yerbang nakapagbibigay lunas, nagagamit sa mga preparasyon ng mga kagamutan ang mga dahon, balat, ugat, bulaklak at mga dulo ng mga namumulaklak na bahagi nito. Matamis na may kapaitan ang mga ugat ng kantutay na nakapagpapababa ng taas ng lagnat at nagagamit din bilang pampalamig. Malamig sa loob ng bibig ang mga dahon na mainam din para sa mga sakit sa balat. Matamis ang lasa ng mga bulaklak nito na nakapagpapalamig din at nakapipigil na pagdurugo. Bukod sa pagiging panlaban sa sipon, ubo, beke, at lagnat, mahusay din itong panlaban sa malaria, tuberculosis sa cervix. Ginagamit ang mga ugat para panlaban sa lagnat, maging ang balat at mga pinakuluang dahon at mga bahaging namumulaklak. Para sa tuberculosis, bulaklak ang ginagamit. Para sa mga sakit sa balat, kinukuha sa kantutay ang mga sariwang tangkay at dahon. Mainam rin sa rayuma ang nilangisang mga dahon na pinainitan sa mahinang apoy. Itinatapa ang dahon sa bahaging nirarayuma. Ginagamit din ang mga dinikdik na sariwang dahon para sa mga pilay, sugat at nabugbog na bahagi ng katawan. Disclaimer: Ang mga halamang gamot ay maaaring makatulong sa iba’t ibang mga karamdaman. Subalit marami dito ay wala pang sapat na pag-aaral at wala pang kasiguraduhan. Hindi makapagbibigay ang Kalusugan.PH ng katiyakan na ang mga ito ay epektibo sapagkat ang epekto ng mga halamang gamot ay maaaring gumana sa ilan, ngunit sa iba ay maaaring hindi naman gumana. Gaya ng ibang gamot, mahalagang isangguni ang pag-inom ng mga halamang gamot sa inyong doktor. 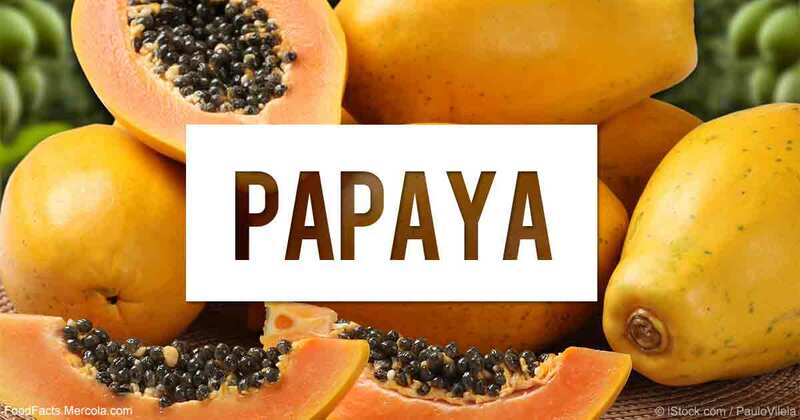 Ang papaya ay isang karaniwang halaman sa Pilipinas. Ito ay orihinal na nagmula sa tropikal na rehiyon ng Amerika, ngunit ngayon ay kalat na sa iba’y ibang lugar sa buong mundo. Kilala ang madilaw o kulay kahel na bunga na karaniwan namang nabibili sa mga palengke. Ang puno ay maaaring tumaas nang hanggang 6 na metro. Maaari namang gulayin ang hilaw na bunga ng papaya. ANO ANG MGA SUSTANSYA AT KEMIKAL NA MAAARING MAKUHA SA PAPAYA? Ang iba’t ibang bahagi ng halamang papaya ay maaaring makuhanan ng maraming uri ng kemikal at sustansya na maaaring may benepisyo sa kalusugan. Ang papaya ay may taglay na chymopapain at papain na may kakayanang tumulong sa pagtunaw ng pagkain. Mayroon pa itong phytokinase, malic acid, calcium maleate. Ang mga dahon ay mayroong carpaine, carposide, saccharose, dextrose, levulose, at citrates. Ang bunga ay makukuhanan ng saccharose, dextrose, levulose, mallic acid, pectin, papain, at citrates. Mayroon ding itong mga sustansya at mineral gaya ng calcium, iron, Vitamins A, B, at C. Ang buto ay may langis. Dahon. Ang dahon ay maaaring ipantapal sa balat, o kaya ay ilaga at ipainom sa may sakit. Dagta. Ang dagta ng halaman ay maaaring gamitin din sa panggagamot. Ito ay karawaniwang ipinapahid sa apektadong bahagi ng katawan. Bunga. Ang bunga ay karaniwang kinakain lamang. Bulaklak. Ang lalaking bulaklak ng papaya ay ginagamit naman sa panggagamot sa pamamagitan ng paglalaga at pag-inom sa pinaglagaan. ANO ANG MGA SAKIT NA MAAARING MAGAMOT NG PAPAYA? 1. Rayuma. Ang pinitpit na dahon ng papaya ang siyang ginagamit na pantapal sa bahagi ng katawan na apektado ng rayuma. 2. Dyspepsia. Ang kondisyon naman ng dyspepsia o hirap matunawan ay maaaring malunasan ng pag-inom sa pinaglagaan ng ugat ng papaya. Makatutulong din ang pagkain sa hinog na bunga ng papaya. 3. Hika. Pinapainom ng pinaglagaan ng dahon ng papaya ang mga indibidwal na dumadanas ng hika. 4. Sugat. Maaaring ipanglinis sa sugat ang dagta na nakuha sa sanga at dahon ng papaya. Maaari ding gamitin ang dagta mula sa hilaw na bunga ng papaya. 5. Hirap sa pagdumi. Nakatutulong naman sa mas maayos na pagdumi ang pagkain sa hinog na bunga ng papaya. 6. Urinary Tract Infection (UTI). Para naman sa kaso ng UTI, maaaring inumin ang pinaglagaan ng tinadtad na dahon ng papaya at tinadtad na hilaw na bunga ng papaya. 7. Pagtatagihawat sa mukha. Ipinangpapahid sa mukha ang dinurog na hinog na bunga ng papaya na hinaluan ng katas ng kalamansi upang matulungan ang pagkawala ng mga tagihawat. 8. Bulate sa tiyan. Ang mga bulate sa tiyan ay maaaring maalis sa tulong ng pag-inom sa gatas na hinaluan ng dinurog na buto ng papaya. 9. Pananakit ng sikmura. Maaari namang inumin ang tsaa na mula sa pinatuyong dahon ng papaya. 10. Ubo. Para naman sa ubo, maaaring inumin ang pulot (honey) na hinaluan ng lalaking bulaklak ng papaya. 11. Kagat ng alupihan. Ang dinikdik na ugat ng papaya ay ipinangtatapal naman sa kagat ng alupihan. 12. Iregular na pagreregla. Matutulungan ng pag-inom sa pinaglagaan ng bulaklak at buto ng papaya ang buwanang dalaw sa mga kababaihan. Disclaimer: Ang mga halamang gamot ay maaaring makatulong sa iba’t ibang mga karamdaman. Subalit marami dito ay wala pang sapat na pag-aaral at wala pang kasiguraduhan. Hindi makapagbibigay ang Halamang Gamot Herbal Medicines pages ng katiyakan na ang mga ito ay epektibo sapagkat ang epekto ng mga halamang gamot ay maaaring gumana sa ilan, ngunit sa iba ay maaaring hindi naman gumana. Gaya ng ibang gamot, mahalagang isangguni ang pag-inom ng mga halamang gamot sa inyong doktor. 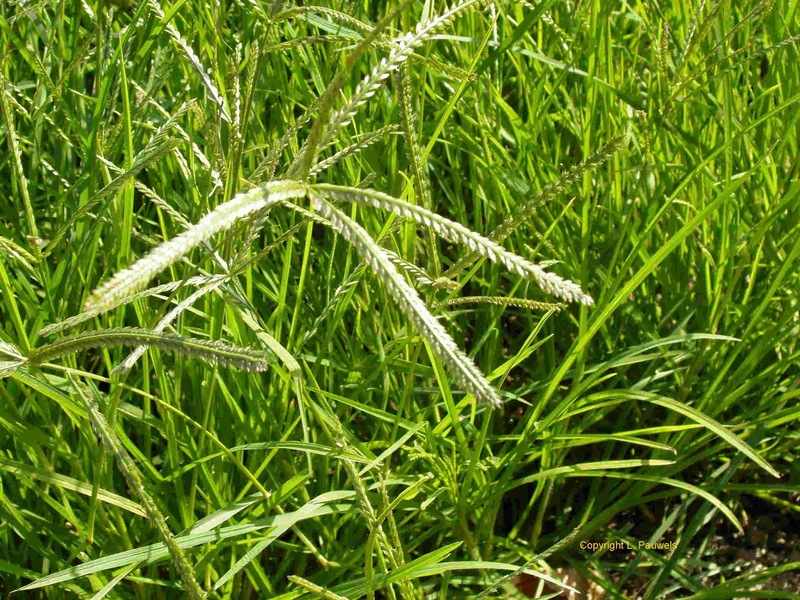 A grass that can cure numerous diseases went viral. Grass is considered as herbage which is suitable or used for grazing animals but never been used as a treatment for any kind of disease. Recently, a grass called Paragis, went viral because of its endless health benefits. We are blessed to have this in the Philippines and it can also be seen in tropical countries. 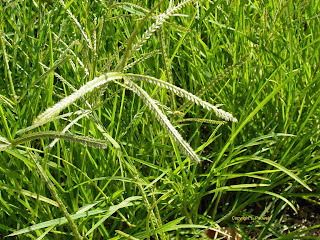 Many people testified and prove the wonder of this grass in treating numerous diseases. In Africa, Paragis is used as a natural way of treating different kinds of illness. In Porac, Pampanga, the tribe of Aeta used it as an insect repellent. Paragis is declared to have protein and its leaves have silicon monoxide, calcium oxide, and chlorine compounds. It is also known to have numerous properties such as anti-inflammatory, antioxidant, antidiabetic, antihistamine, natural diuretic, and cytotoxic properties. Its steam, roots, and leaves are used as herbal medicine by boiling it. 1. Cancer – Paragis’ antioxidants prevent the growth of cancer cells in the body. 2. Ovarian cyst and myoma – Ovarian cyst can be treated by Paragis tea. 3. Kidney problems – Paragis increase the amount of water in the body and expels the salt as urine because of its diuretic property. 4. Arthritis – Apply the heated leaves of Pargis with scraped coconut on the affected area. 5. Diabetes – Paragis has antidiabetic properties. Drink of its tea regularly. 6. Wound bleeding – Stops wound bleeding by applying the mixture on the affected area. 7. Parasites – It has laxative properties that fight parasites in the body. 8. UTI – Drink boiled leaves of Paragis to cure UTI. 9. Highblood pressure – It’s boiled leaves and stem helps balance and lower the risk of hypertension. 10. 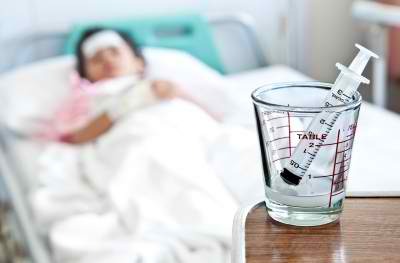 Fever – Drinking boiloed roots of Paragis lowers the fever. 11. Sprain – Apply minced leaves of Paragis on the affected area. 12. Dandruff – Mixed the minced and stem of Paragis on coconut oil. Use it as a shampoo. It also uses for hair growth and stops falling hair. 13. Dysentery – Drinking boiled roots of Paragis help cure gastroenteritis (Diarrhea with blood). Paragis is also known to treat health issues such as asthma, epilepsy, malaria, infertility(women), bladder and liver problems, hemoptysis, and jaundice. You don’t need an expensive medication anymore. Try the all natural and effective way of treatment by drinking Paragis. What is one big mistake you’ve made in your life and what did you do to make it right? Thank you so much, sir, for that wonderful question. Good Evening ladies and gentlemen, good evening Las Vegas. 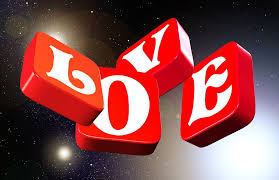 You know what Sir, in my 22 years of existance, I can say there is nothing major, major, I mean problem, that I have done in my life, because I am very confident with my family, with the love they are giving to me, so thank you so much that I am here. Thank you. Thank you so much. Would you change your religious beliefs to marry the person you love? Why and why not? If I had to change my religious beliefs, I will not marry the person that I love because the first person that I love is God, who created me. And I have my faith, my principles, and this is what makes me who I am. And if that person loves me, he should love my God too. As an international ambassador, do you think, being able to speak English should be a prerequisite to be Miss Universe? Why or why not? For me, being Miss Universe is not just about knowing how to speak a specific language. It is being to influence and inspire other people. So whatever language you have, as long as you have the heart to serve and a strong mind to show to people then you can be Miss Universe. Thank you. What can be done about the lack of jobs for young people starting their careers around the world? 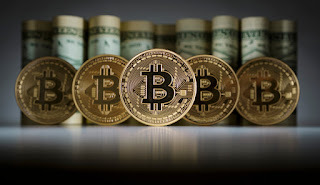 For the people who have lack of jobs, I do believe that we people should invest in education and that is my primary advocacy, because we all know that if everyone of us is educated and well aware of what we are doing, we could land into jobs and we could land a good career in the future. Education is the primary source and ticket to a better future. What is the greatest advantage of being a woman? The advantage of a woman is being able to compose ourselves, just like here. We’re standing in front of thousands of people…but we try to compose ourselves…tonight, thousands of people are standing here celebrating the beauty of a woman – and that is the advantage of being a woman. Top 5: Earlier this year, there was a controversy in Philippines about the United States reopening a base in your country. Do you think the United States should have a military presence in your country? I think that the United States and the Philippines have always had a good relationship with each other. We were colonized by the Americans and we have their culture and our traditions even up to this day and I think that we're very welcoming with the Americans. And I don't see any problem with that at all. 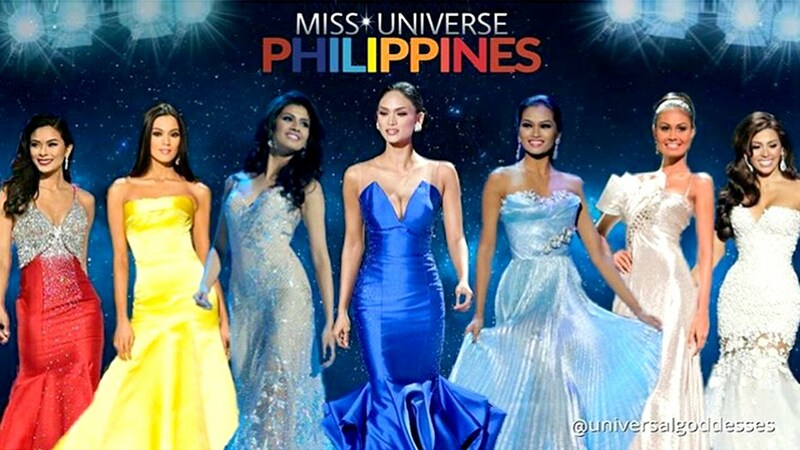 Top 3: Why should you be the next Miss Universe? To be a Miss Universe is both an honor and responsibility. If I were to be Miss Universe, I will use my voice to influence the youth and I would raise awareness to certain causes like HIV awareness that is timely and relevant to my country which is the Philippines. I want to show the world, the universe rather, that I am confidently beautiful with a heart. Thank you. 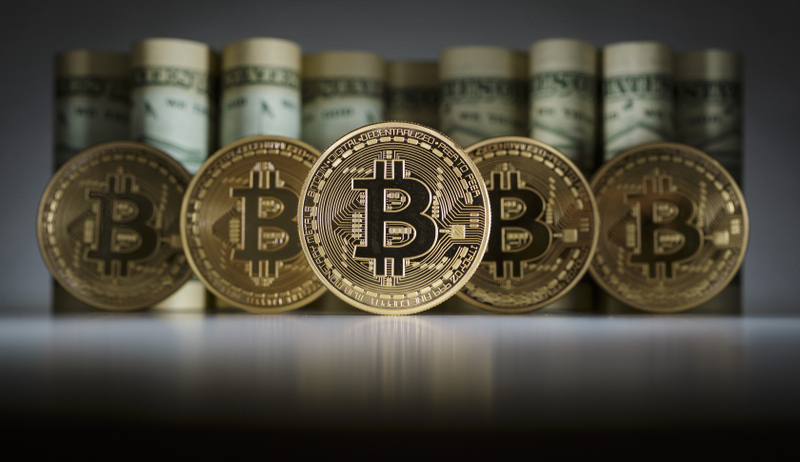 What is the most significant change you've seen in the world in the last 10 years? In the last 10 years of being here in the world, I saw all the people bringing here in one event like this, Miss Universe. And it's something big to us that we are one, as one nation we are all together. Thank you. Ang parte na ito ay kinuha mula sa internet at pinagsama-sama ng awtor ng blog. Hindi ito nangangahulugan na ang mga ito ay pag-aari mismo ng blogger. Mas nakilala man siya sa pagiging kuwelang DJ ng Barangay LS FM 97.1, marami ang 'di nakakaalam na si Papa Buboy ay may ibubuga din sa pag-arte. Justiniano Candado II sa totoong buhay, ilang projects na ang nagawa niya sa telebisyon, pelikula at teatro. Naikuwento ni Papa Buboy sa GMANetwork.com na napabilang siya sa indie film na Sepulturero kung saan nanalo siya ng Best Supporting Actor sa Cine Haraya Film Fest at napasama siya sa historical drama nang GMA News TV na Katipunan na ipinalabas noong nakaraang taon. Inamin niya na kahit passion niya ang acting, mahirap ang mundong pinasok niya dahil hindi stable ang income sa pagiging artista. “Kasi pag sa theatre, pati sa TV ang project mo, per show, after [the] show wala na. So, audition na naman. Parang naisip ko, I have to look for a real job na malapit din dun sa passion ko nga which is acting. Kaya nung nag-announce sa radyo na naghahanap ang LS FM ng bagong DJ naisipan niya na mag-audition. Dagdag pa ng dating seminarista, hindi na daw siya umasa na matatangap siya dahil ilang buwan din ang lumipas na walang sinasabi kung nakapasa siya sa audition. Pero after nung project niya na Sepulturero sakto dumating yung magandang balita na siya 'yung napili maging bagong DJ ng LS. Kaya very flattered daw siya for the trust na ibinigay sa kanya kahit ang background lang niya ay acting. Nagbibigay inspirasyon din kay Papa Buboy na napapasaya niya 'yung mga listeners nang Barangay LS FM at naniniwala siya na malaking responsibilidad ang pagiging DJ. “Kasi may nainterview ako dati nung nagjournalism student pa ako na DJ. Sabi niya napakalaki ng kapangyarihan ng DJ, lahat ng sasabihin mo paniniwalaan ng tao so napakalaki ng responsibilidad na itama sila.” saad niya. Sa tanong na kung ano pipiliin niya, ang maging aktor o DJ, sagot ni Papa Buboy “Why would you choose if you can have both…. Naisip ko if ever dadating 'yung point na kailangan pagsabayin, siyempre priority mo 'yung regular job 'yun, pero kung makakasingit ako ng acting isisingit ko”. Patuloy na subaybayan si Papa Buboy sa Hoy Pinoy, Mondays to Fridays (3am-6am). Kaya mga ka-barangay, Tugstugan Na! 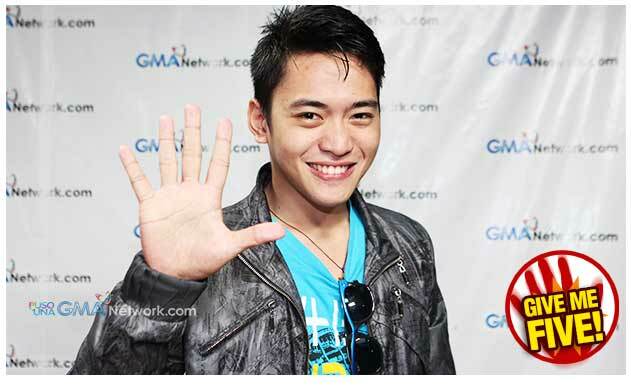 For the latest news on Papa Buboy and other Kapuso stars and DJs, visit GMANetwork.com. 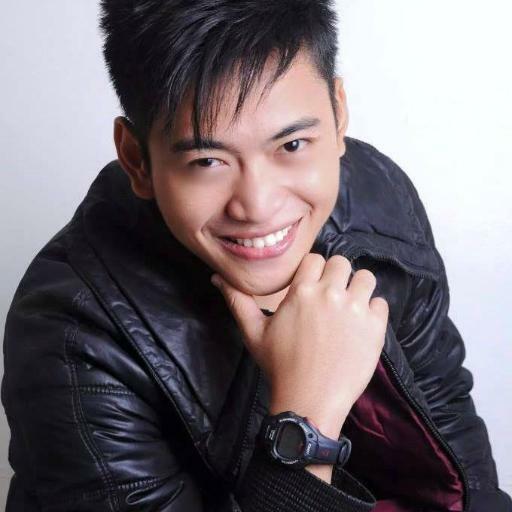 Papa Buboy of Barangay LS FM will dazzle you with his boyish charm. Find out his favorite summer destination and more in this special edition of GIVE ME FIVE. Ang luyang dilaw, o turmeric ay isa sa pinaka popular na mga halamang gamot hindi lang dito sa Pilipinas kundi pati na sa ibang bansa. Ang luyang dilaw ay tinatawag na “Queen of spices” o reyna ng mga sangkap, dahil sa taglay nitong mala pamintang lasa. Ang mga tao sa buong mundo ay madalas gamitin ang luyang dilaw bilang sangkap sa pagluluto. 1. Ang luyang dilaw ay iwas kanser - Ang luyang dilaw ay maaaring makatulong sa pag iwas sa prostate cancer, pigilan ang pagtubo ng kanser sa prostate. Kaya din nitong tuluyang patayin ang mga kanser cells. Maraming mga dalubhasa ang nakatuklas na ang aktibong mga sangkap ng luyang dilaw ay epektibong pang-iwas at panglaban sa mga tumor na dala ng pagkakahantad sa radiation. Tulong din ito bilang pang-iwas sa mga tumor cells tulad ng T-cell leukemia, carcinoma ng colon at suso. 2. Luyang dilaw bilang halamang gamot sa arthritis - Ang kakayahang magpabawas ng pamamaga ng luyang dilaw ay magaling na panlaban sa pananakit na dala ng osteoarthritis at rheumatoid arthritis. Karagdagan pa, ang antioxidants na nasa turmeric ay pangsira sa mga free radicals sa katawan na sumisira sa malulusog na mga cells. Natuklasan ng mga dalubhasa na ang paghihirap na dala ng rheumatoid arthritis ay naiibsan sa pamamagitan ng paggamit ng luyang dilaw dahil sa inaaalis nito ang pamamaga ng mga kasukasuan. 3. Ang diabetes at ang luyang dilaw - Ang luyang dilaw ay maaari ring gamitin bilang halamang gamot sa diabetes dahil may kakayahan itong balansehin ang insulin sa katawan. Pinasisigla rin nito ang epekto ng iniinom mong gamot laban sa diabetes. Kung umiinom ka ng luyang dilaw, tintulungan nito ang iyong katawan na makaiwas sa insulin resistance na maaaring maging sanhi ng Type-2 diabetes. Ngunit, kung ito ay gamitin na kasabay ng malalakas na mga gamot, ang luyang dilaw ay maaari ring maging sanhi ng hypoglycemia o mababang blood sugar. Mas mabuti kung magtatanong sa inyong doktor bago ka gumamit ng turmeric sa diabetes. 4. Ang luyang dilaw ay nakapagpapababa ng kolesterol - Ang mga pag-aaral ay nagpapatunay na ang pagkonsumo ng luyang dilaw bilang sangkap sa pagluluto ay nakababawas sa kolesterol sa katawan. Alam natin na ang sobrang taas na kolesterol ay maaaring maging sanhi ng seryosong mga problema sa kalusugan. Ang pagpapanatili ng tamang dami ng kolesterol sa katawan ay tulong para makaiwas sa sakit sa puso at highblood. 5. 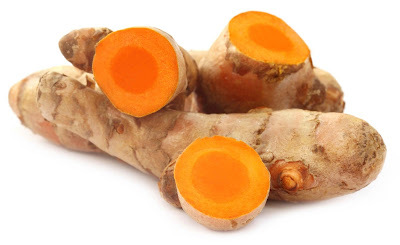 Pampalakas ng immune system ang turmeric - Ang turmeric o luyang dilaw ay may sangkap na lipopolysaccharide, na nakakatulong na i-stimulate ang immune system ng katawan. Ang mga sangkap ng halamang gamot na ito ay kilalang pamatay mikrobyo. Ang malakas na immune system ay nagpapahina ng posibilidad na ikaw ay magkaroon ng sipon, trangkaso at ubo. Kung ikaw ay nagka sipon, trangkaso at ubo, mas mabilis kang gagaling sa pamamagitan ng paghalo ng isang kutsarita ng turmeric powder sa isang baso ng gatas at inumin ito araw araw. 6.Mabilis gumaling ang sugat kapag may luyang dilaw - Ang luyang dilaw ay natural na antiseptic at antibacterial agent. Ito ay mabisang gamitin bilang disinfectant. Kung ikaw ay may hiwa o may paso, pwede mong budburan ng turmeric powder ang sugat mo para bumilis ang paggaling. Ang luyang dilaw ay nakatutulong sa pagsasaayos ng nasirang balat. Pwede rin itong gamiting panggamot sa psoriasis at iba pang mga sakit sa balat. Ang impormasyon ito ay mula sa Halamang Gamot. 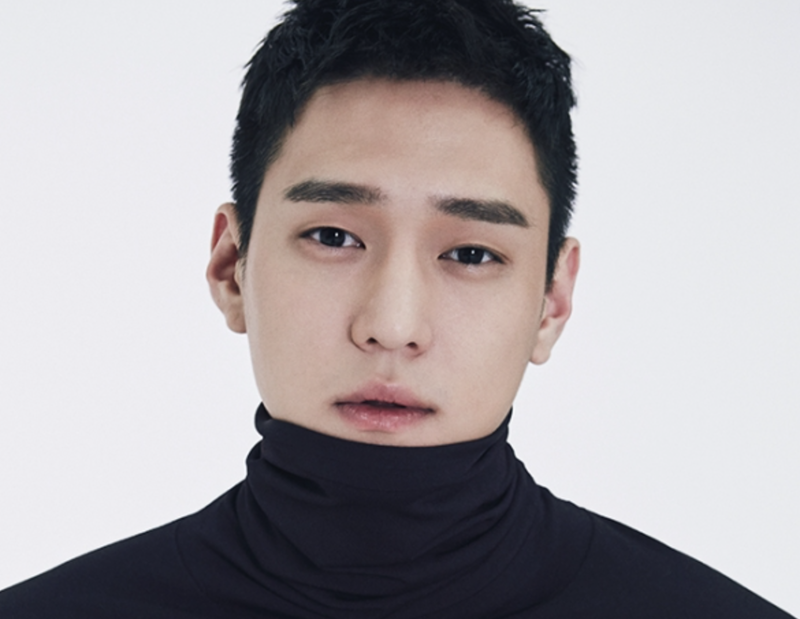 Go Kyung-pyo (Hangul: 고경표; born June 11, 1990) is a South Korean actor and comedian. He began his career in 2010 when he joined the cast of “Saturday Night Live Korea,” where he stayed for three seasons. He branched out into films and television dramas since, gaining widespread fame, especially in the television roles “Flower Boys Next Door” (2013), “Tomorrow Cantabile” (2014) and “Warm and Cozy” (2015). He gained recognition for his role in the television series Reply 1988 (2015–2016) and has since starred in Jealousy Incarnate (2016) and Chicago Typewriter (2017). Go starred in his first leading role in KBS2's Strongest Deliveryman in August 2017. KOREAN NAME: Revised Romanization - Go Gyeong-pyo. McCune-Reischauer - Ko Kyŏngp'yo. Reply 1988 Role: Sung Sun-woo(Hangul: 응답하라 1988; RR: Eungdapara 1988) is a South Korean television series starring Lee Hye-ri, Park Bo-gum, Go Kyung-pyo, Ryu Jun-yeol and Lee Dong-hwi. Set in the year 1988, it revolves around five friends and their families living in the same neighborhood of Ssangmun-dong, Dobong District, Northern Seoul. It aired every Friday and Saturday from November 6, 2015, to January 16, 2016, on tvN at 7:50 (KST) for 20 episodes. Reply 1988 is the third installment of tvN's Reply series. It received both critical and audience acclaim with its finale episode recording an 18.8% nationwide audience share, making it the highest rated drama in Korean cable television history. Jealousy Incarnate Role: Go Jung-won (Hangul: 질투의 화신; Hanja: 嫉妒의 化身; RR: Jiltueui Hwasin) is a South Korean television series starring Gong Hyo-jin, Jo Jung-suk, Go Kyung-pyo, Lee Mi-sook, Park Ji-young, Lee Sung-jae and Seo Ji-hye. It aired every Wednesday and Thursday at 22:00 (KST) on SBS from August 24 to November 10, 2016 for 24 episodes. Chicago Typewriter Role: Yoo Jin-oh (Hangul: 시카고 타자기; Hanja: 시카고打字機; RR: Sikago Tajagi) is a 2017 South Korean television series starring Yoo Ah-in, Im Soo-jung and Go Kyung-pyo. It premiered on April 7, 2017, with episodes every Friday and Saturday at 20:00 (KST) on tvN. Strongest Deliveryman Role: Choi Kang-soo (Hangul: 최강 배달꾼; RR: Choegang Baedalkkun) is 2017 South Korean television series starring Go Kyung-pyo, Chae Soo-bin, Kim Seon-ho and Ko Won-hee. It premiered on August 4, 2017 and aired every Friday and Saturday at 23:00 (KST) on KBS2, until September 23, 2017.